INK studio is proud to present Songs of the Phoenix Mirror, the first exhibition to explore the full range and cultural significance of internationally renowned artist Wei Ligang’s current calligraphic practice. Through documents and archival footage, the exhibition reviews Wei’s artistic and intellectual development from the late 1980’s onwards. It surveys his major calligraphic styles: his signature “magic squares” and its variations; his monumental continuous cursive script inspired by Fu Shan (1607-1684) and other 17th-century masters; and his cursive renditions of the engraved lines of seals, steles, and Oracle bones. These idiosyncratic deconstructions and reconstructions of Chinese writing trace it to its pictographic beginnings and point to its possibilities as the foundation of a universal abstract art. The centerpiece of the exhibition is Phoenixes and Dragons, a 45-meter scroll on paper displayed in its entirety in a purpose-built spiral installation. Here Wei Ligang repeats several poetic lines like musical motifs. His brushwork animates and is in turn animated by them, becoming by turns ponderous and attenuated, fluid and explosive. Cycling rapidly through a dozen scripts and styles, all densely charged with art-historical allusions, he takes the viewer on a transcendental journey across millennia from stroke to stroke, from instant to instant. Evoking the mythical animals of the title in text, image, and gesture, he also harks back to the origins of Chinese aesthetic language in metaphors of and analogies to natural phenomena. Wei Ligang (b. 1964) was born and raised in Datong, Shanxi, the first capital of the Northern Wei Dynasty (386-535) and home to the famous Buddhist grotto shrines of Yungang, which instilled in him a fondness for the grandeur of Han- and Tang-dynasty art. A precocious calligrapher since his childhood, he graduated with a degree in mathematics at age 21 from Nankai University in Tianjin, where he rose to prominence in the local calligraphy circle and came under the tutelage of the traditional masters Li Henian (1912-2000), Wang Xuezhong (1925-2013), and Sun Boxiang (1934-). After graduation in 1985, he taught at a high school in Taiyuan and immersed himself in the legacy of Fu Shan, a fellow Shanxi native most celebrated for his dashing and expressionistic linked cursive script but also a forerunner of the Epigraphic turn in calligraphy—towards rigorous philological research and archaic scripts on engraved seals and steles. 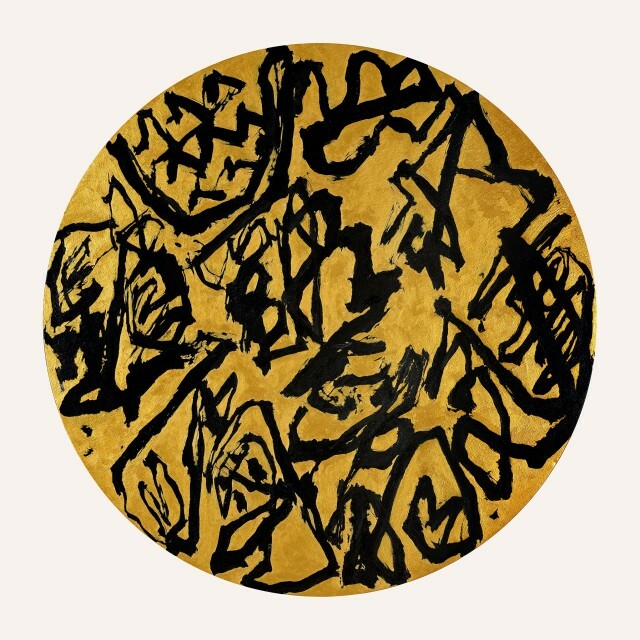 Over the following fifteen years, Wei emerged as a young pioneer of the Modern Calligraphy movement, participating in and organizing a number of groundbreaking solo and group exhibitions across the country. He relocated to Beijing in 1995 as a professional artist to engage more closely with abstract painting and international contemporary art. In his career of three decades, Wei Ligang has sought a universal language of abstraction based on the linear and spatial structures of Chinese calligraphy—to construct, as he puts it, pure structure itself. This language will be capable of embodying the complexity and expansiveness of contemporary human knowledge and existence, encompassing the invisible worlds of astronomy, digital computing, and quantum physics. A committed educator and the founder of the International Shuxiang Society, he believes that Chinese calligraphy will reach an unprecedented height within this generation. Like Kang Youwei (1858-1927) and other evidential scholars before him, Wei Ligang conducts an archaeology of culture and finds in its fragmentary ruins the promise of a utopian future. Songs of the Phoenix Mirror opens at 2pm on Saturday, December 10, 2016 and will be on view through Sunday, February 12, 2017. It is co-curated by INK studio Artistic Director Britta Erickson, PhD, and Chief Editor Alan Yeung.